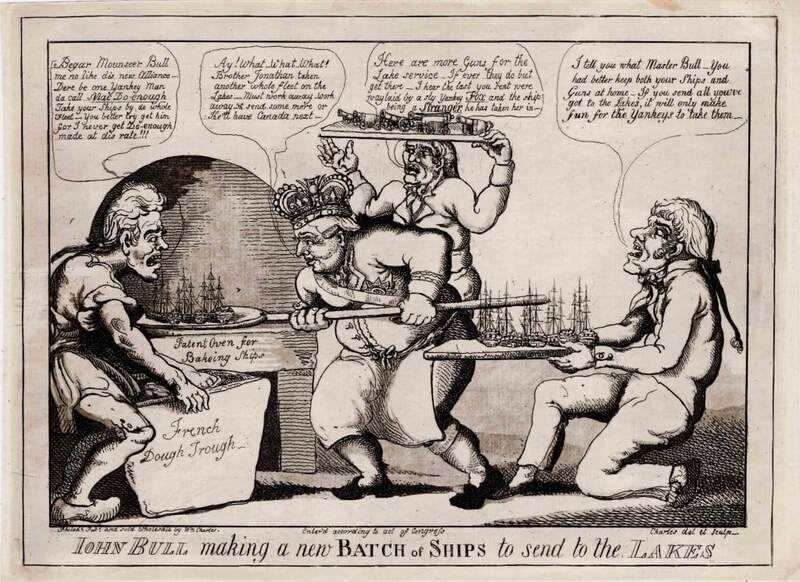 A terrific and rather rare political cartoon mocking the British for Perry’s famous victory on Lake Erie in September 1813 and Macdonough’s triumph in Plattsburg Bay on Lake Champlain the following year. 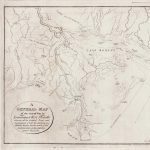 In a region of few roads, these victories ensured American control of its northern frontiers at the end of the War of 1812. 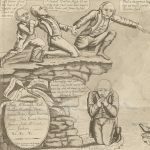 The satire features the boldly-etching lines and strongly-modeled figures characteristic of William Charles. Charles was a publisher and engraver active in New York and Philadelphia in the first two decades of the 19th century. Born in Scotland, trained in England, and active early in his career in both Edinburgh and London, he probably arrived in New York in or after 1806. American Antiquarian Society, American Engravings, #2515. Murrell, American Graphic Humor, vol. 1 p. 88 (pl. 78). Olds, Bits and Pieces, #431. Stauffer, American Engravers, #315. 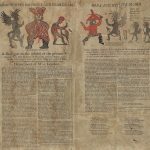 OCLC gives impressions only at the American Antiquarian Society, Clements Library, Library of Congress and the Peabody Essex Museum. Biographical information taken primarily from Murell, American Graphic Humor, vol. 1 pp. 79-95.